While visiting the Pensacola Interstate Fair this year, I met Diane Lowery from the Panhandle Equine Rescue group from Pensacola. I found out they were having their First Annual Horse Adoption Day at the Escambia County Equestrian Center and I volunteered to take some photos of some of the horses and activities. 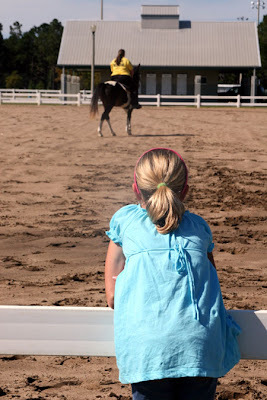 What a fun day for everybody that loves horses! They had horses for everyone to see in the stalls inside, along with photos of "before" and "after" shots of these rescued animals. 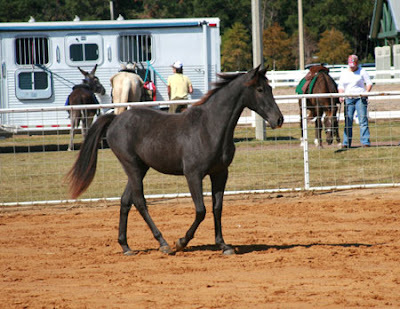 Seeing all these beautiful horses--and how well they look now--it made me not want to see any "before" photos. The Panhandle Equine Rescue does such a wonderful job of saving these animals and finding loving, secure, forever homes for them. 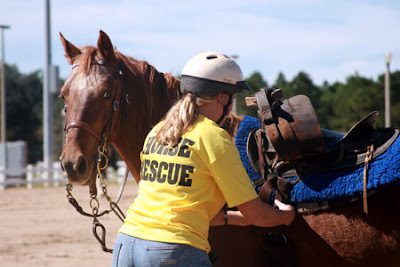 There was a big fenced in area where rescue workers would saddle the horses and ride them around so people could see how well they handled a rider. 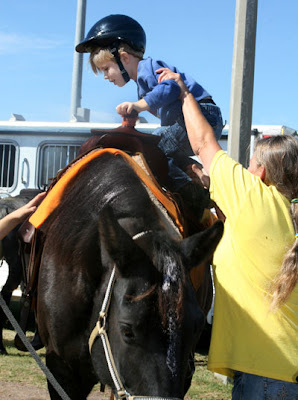 The activities on Horse Adoption Day (October 25th) included a petting zoo with all kind of animals including chickens, a goat, a donkey, and ponies for the children to ride. 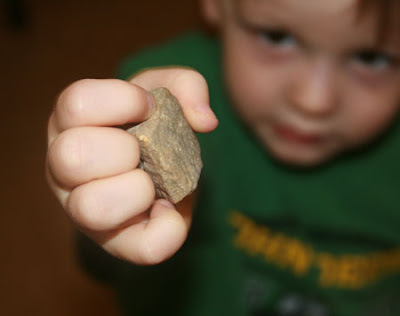 They even had handsome ROCKS there and this young man was so proud of the rock he found. I couldn't wait to take a photo of him holding it. 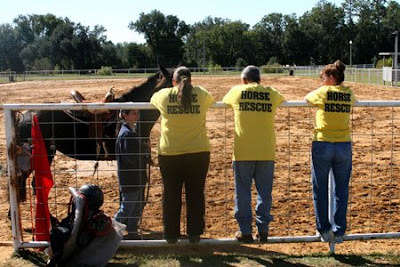 If you are interested in finding out more about what the Panhandle Equine Rescue group does or want to attend their next Horse Adoption Day, visit their website at http://www.panhandleequinerescue.org/. Find out what you can do to help their rescues during transition to a forever home!